At the north side of Santorini is located the magical village of Oia , the traditional style with the most amazing view and one of the most incredible sunset of the world. 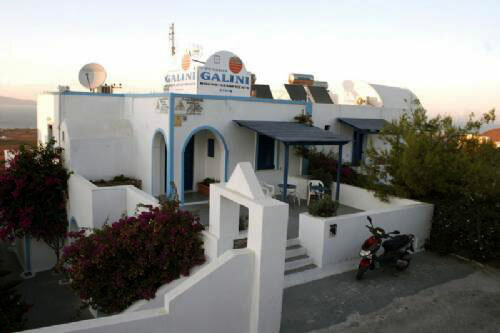 There we created in a very quite place in the beggining of the village the Pension Galini Oia , compiled with 17 rooms and 4 appartments fully equiped for 2 - 4 persons. 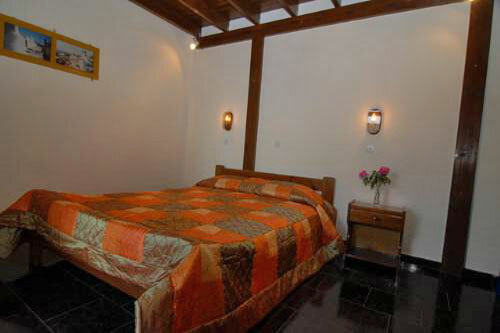 All the rooms are equiped with bathroom , telephone , Television , safe-box and balcony. The appartments have 2 chambers with bedroom , living room with kitchen , bathroom , Air Contition , Televition , safe box and veranta. The pension is also facilitates parking and grill for your pleasure. 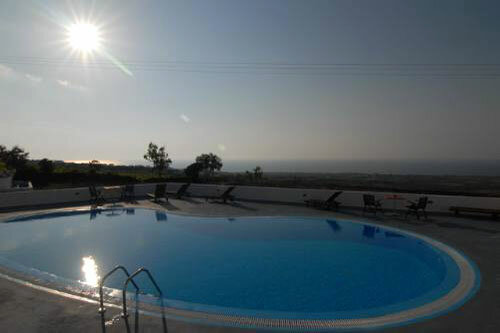 At the pool bar witch located next to the pool you can enjoy your breakfast and at the evening , your coffee or your drink viewing the surrounding islands and the unique sunset of Oia.